Unique white-fleshed sweet potato with distinct nutty flavor. Murasaki, a purple-skinned Japanese sweet potato, is a summer standout with distinctive nutty flavor. The purple beauty's soft white flesh is loaded with vitamin C and dietary fiber. Robust, Murasaki is resistant to both southern root-knot nematode and Fusarium root rot. U.S. Plant Patent #19,955. Plant sweet potatoes as soon as you receive the bare roots, or “slips”, in spring, after all danger of frost has passed. Do not be concerned if the plants look limp and the green tops do not look robust. If the roots are white and firm the plants are healthy and ready for planting. You can put them in a glass of water to help the roots absorb water and the greens should perk up. Choose a sunny location with a loose, easily worked, well-drained soil. Sweet potatoes prefer a soil pH of 5.5 to 6.5. The ideal time to plant is late in the afternoon after the hottest part of the day, on a day that is not windy. Plant sweet potatoes in ridges 8-12 inches high and 3 feet apart. Set the plants 10-18 inches apart. When setting the plants in the ground do not cover the stem. Cover the roots and firm the soil. Water lightly. If there is danger of frost cover the rows with row covers. 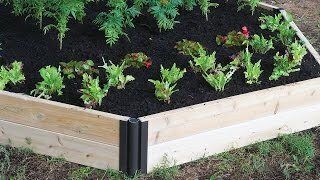 In areas with shorter seasons use black plastic mulches to warm the soil earlier in the season. If you use this method you may need to water more during periods of high heat during the growing season. Cultivate around the plants to prevent weeds, and to prevent side roots from developing. Weeds compete with plants for water, space and nutrients. Cultivate carefully so as not to bruise or cut the young tubers forming just below the soil. Once plants get started their growth will tend to smother out many weeds and grasses. Provide sweet potato plants with about ¾ inches of water weekly when they are young, and water them more as the plants mature. Do not water during the 2 weeks before harvest. Many gardeners prefer not to fertilize because they feel not fertilizing improves the flavor, while others feel that fertilizing increases yields. If you choose to fertilize, side dress with a balanced fertilizer about six weeks after planting. Do not use excessive nitrogen. Harvest small roots, or “baby bakers” anytime as desired, or harvest full-sized roots in the fall. Simply examine an average hill and dig the potatoes when they approach the desired size. Dig any remaining roots before frost. When digging sweet potatoes be careful not to bruise them. Use a shovel or large pronged fork. With a loose row, pull the soil away with your hands. After digging up your sweet potatoes, cure them in a warm, well ventilated location out of the sun for 8-10 days. This will help heal cuts and bruises and toughen the skin for winter storage. Store sweet potatoes at 55°F at high humidity. Sweet potatoes can store for several months after being properly cured. Eat sweet potatoes baked, mashed, candied, caramelized, deep-fried, stuffed or boiled. Sweet Potato, Murasaki is rated 4.0 out of 5 by 3. Rated 2 out of 5 by Tomo from Taste good , but . . . I bought 12 vines of Sweet Potato Murasaki .I planted all of them on the day they were delivered .Only 6 of them sprouted .The Vines were all wilted when they arrived. But (to be fair to this seller) that is not supposed to be a problem .In Japan also the vines of Japanese sweet potato are sold in that way , almost wilted ,in order to grow the roots faster .The problem was: some vines were just too immature , too thin and short as a starter . Like a hair and only 5 or 6 inches long . They need to be one foot in length at least . Potatoes are produced on the joint of leaf and vine . They should be planted with the main vine underground and the leaves to be left above ground . I did not have such a choice because the plants were such poor quality . So I had to plant the entire thin hair-like vines underground and therefore half of them just disappeared . I harvested some potatoes and the average size was OK , but because the vines were too short , I only got 2 or 3 potatoes per vine . The starter-vines did not have many leaf-joints . Once lots of vines had grown , I cut some and replanted them , but this second batch of potatoes are still very small ,and it is almost October . 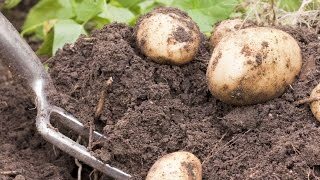 I recommend this potato , because the taste is good , they don't need much care and you can grow them in a same place every year . Leave the potatoes unwashed 2 or 3 weeks before eating them . They will be sweeter . Rated 5 out of 5 by RhymeTyme from Keeps on keeping on Great flavor, easy to grow, good price. Rated 5 out of 5 by BurpeeGardenExpert from Colorful variety has distinct, nutty flavor. I am always looking to add color to my culinary creations and this purple sweet potato is a great way to do it. The distinctly nutty flavor is a rich high note. This is one vegetable that will probably get a smile out of the kids.